The Nuffield Trust is an independent non-government institute based in London, which conducts research and policy analysis to improve health care in the United Kingdom. 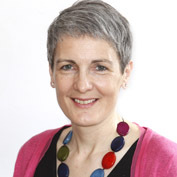 Ruth Thorlby’s research interests include National Health Service (NHS) reform, integrated care, GP commissioning, accountability, international comparisons and health inequalities. Recent publications include a study of the impact of the Francis Inquiry on the behaviour of senior management in hospitals, the impact of budget reductions to social care services for older adults in England and strategies to improve population health management in general practice. Before joining the Nuffield Trust. Ms. Thorlby she was a senior fellow at The King’s Fund, where her publications included two major reviews of NHS performance as well as a range of briefing and research papers. She was a 2008-2009 Harkness Fellow, based at Harvard Medical School, where she researched how US physicians and healthcare organizations understood and tackled racial inequalities in the quality of health services. Ms. Thorlby has an MSc in Social Policy from the London School of Economics. Before moving into health policy research, she was a broadcast journalist, working for BBC World Service and BBC News and Current Affairs, including Panorama.